Because Cresent is focused on product, the primary goal on the website was to showcase the product and generate sales. 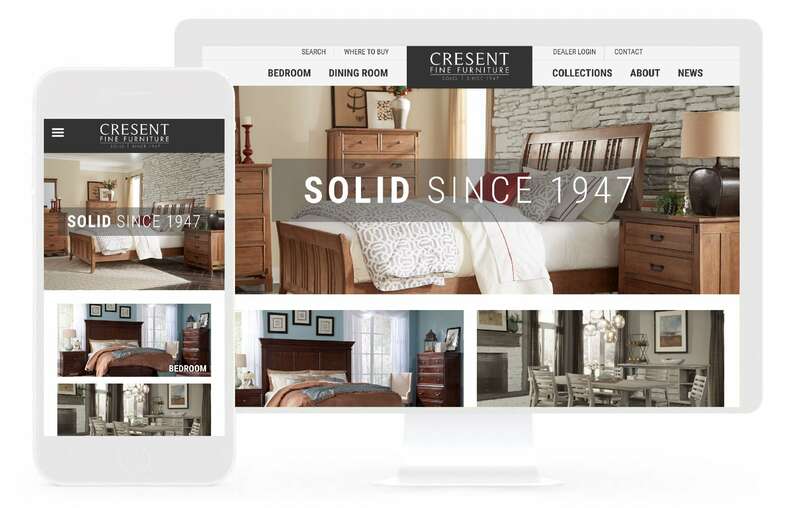 Our design made Cresent’s beautiful photography a focal point from the front end and with admin in mind so that they could easily add products to the back end. A Dealer Locator map allows customers to quickly shop for furniture.